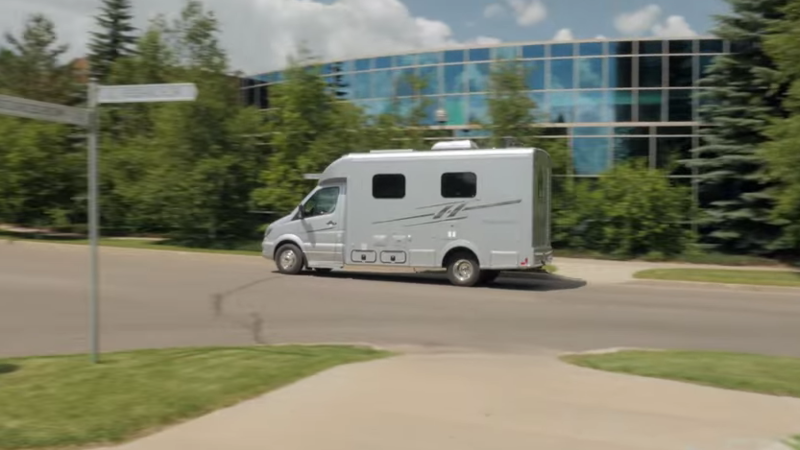 Wide body Class B Motorhome built on a Mercedes Benz Chassis. Seats 2 and Sleeps 2 people. The Plateau XL is built on the Mercedes-Benz dual rear wheel cab chassis and measures 22 feet 9 inches in length. 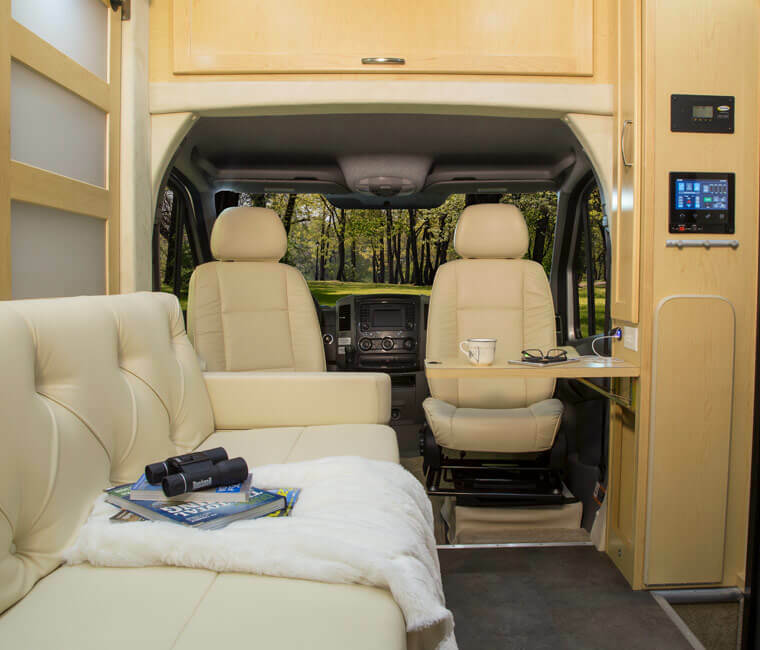 The 22 foot length is key as it remains the same length as our other Sprinter models and allows this motorhome to have greater fuel efficiency and more manoeuvrability than a similar 25-foot coach. 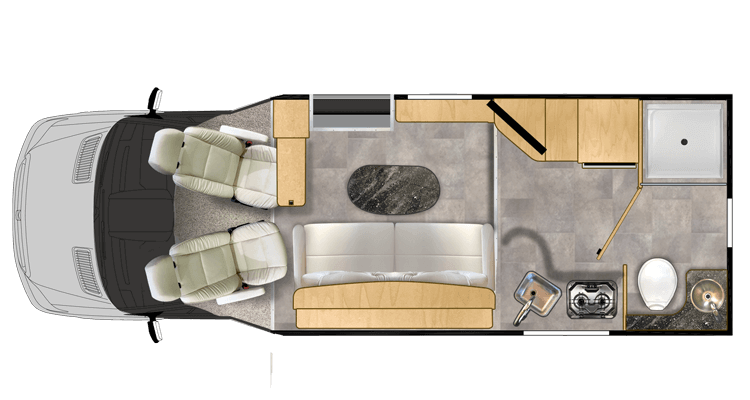 The widebody structure has allowed our design team to create an open concept floorplan with a very spacious interior. 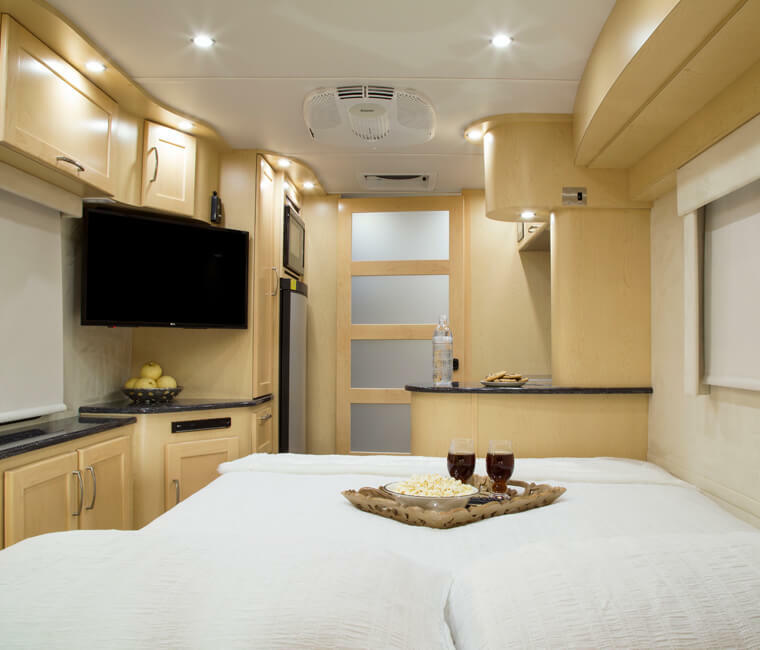 The queen-sized (60-inch-by-74-inch) murphy bed neatly folds up into the living room wall creating a large living and dining space.